For our clients and visitors who are intersted. My Book is finally out. Order your copy and take a journey with me into the secrets of divine faith. Unlock the mighty gifts and purpose God has given you. Through the revelation found in this book you will understand the ever illusive secrets of the Christian faith. 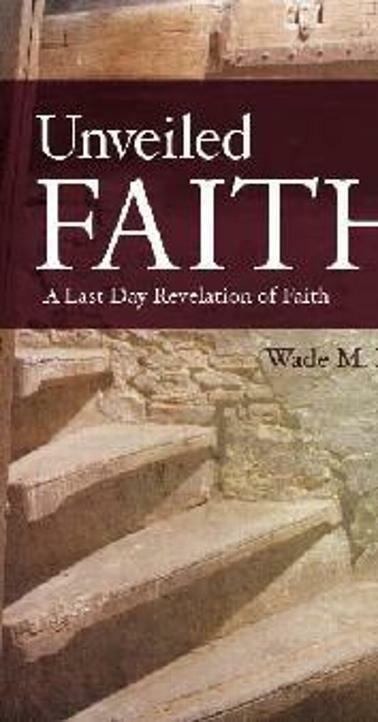 This user-friendly narrative on the subject of faith will leave you not wanting to put it down. Through Unveiled Faith lives are being transformed as minds are being renewed by the simple understanding of what the term "faith" really means and how it functions. Many Believers today are experiencing an unusual thirst and yearning for a deep and more meaningful intimacy with God. They want to know how to recognize the will of God for their lives. Unveiled Faith will reveal long forgotten wisdom possessed by the apostles of old. Today the Holy Spirit longs to unfold the life of Jesus Christ in and through the members of the Body of Christ. Join Pastor Wade. M. Hurt as he brings fresh new relevance to your Christian walk. Learn how to enter rich communion with God, how to break the shackles of sin, habitual behavior, issues of compulsion entering into a life of righteousness, peace and joy. As you learn the powerful mysteries of faith you will begin to unlock the miraculous power-working anointing of Christ on a daily basis. Much has been said concerning faith. Now learn what Jesus and the apostles knew about how genuine faith actually works. Watch as the Bible comes to life through your new found comprehension of faith. Now is the time. Today is the day for a fresh renewal of faith. With the world quickly closing in around us, we need a faith that brings results. In America Christians everywhere are searching for spiritual meaning and relevance as everything that can be shaken, is being shaken. With the oncoming economic crisis, natural disasters, famines and disease running rampant, a wake-up call is upon us. This book is a must read for last day survival in a world that is quickly coming unglued. Get your copy now and start your journey onto the road of genuine life changing faith.